TWO MORE BEST ENSEMBLE CAST AWARDS! RICH KIDS can't be stopped! We took home two more Best Ensemble Cast awards at the Tulsa American Film Festival and the DTLA Film Festival in October. The whole cast and crew made it out to our Los Angeles premiere and we screened to a SOLD OUT house! 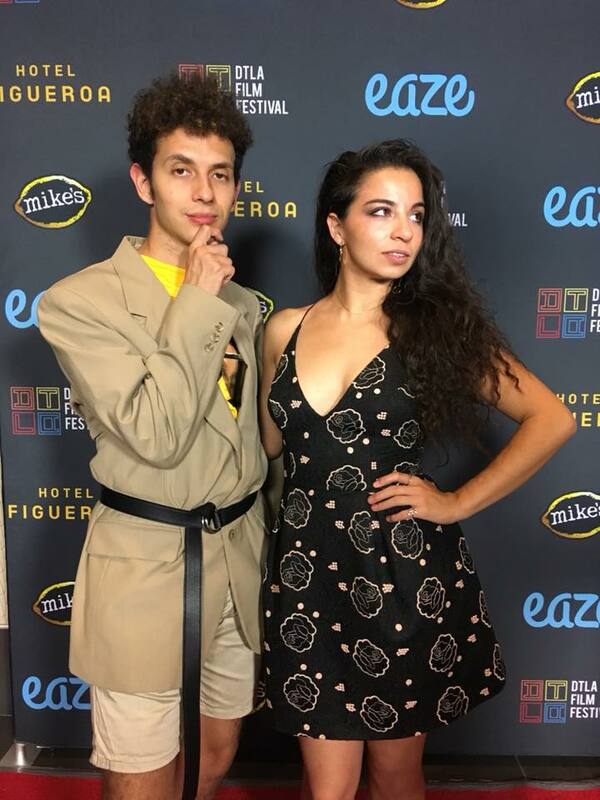 After that it was off to the Portland Film Festival where we were excited to discover that Portland had dedicated this year's lineup to female and Latinx filmmakers, so we were in great company! After that we flew cross country to Washington DC to screen at the chic Washington West Film Festival where #storycanchangetheworld. RICH KIDS is on a roll! We had an incredible week at the HBO NY Latino Film Festival, where we took home the award for BEST US FEATURE! We had two screenings, both filled with friends and fans – and we were thrilled to receive an overwhelmingly positive response from the dynamic New York community. It was a blast hanging out at the HBO headquarters, where we attended several panels meeting and learning from top HBO Executives. After such a long wait, the LOS ANGELES premiere is right around the corner! 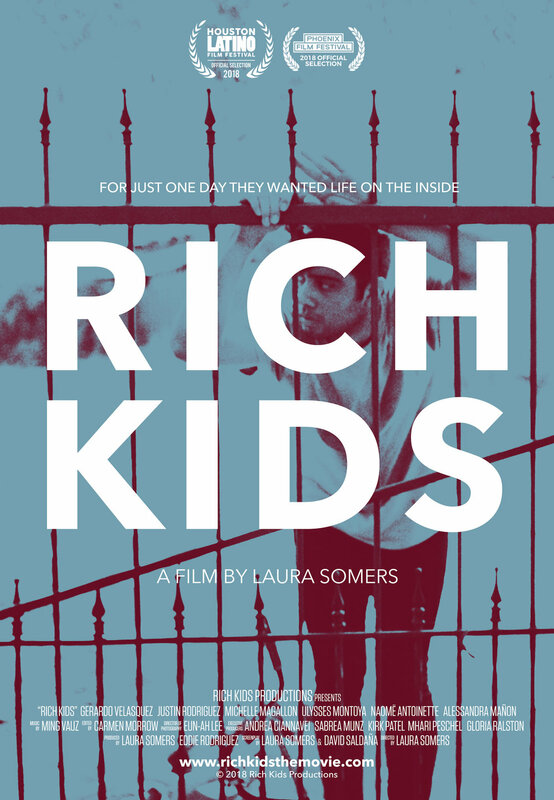 We are thrilled to announce that RICH KIDS will be at the DTLA Film Festival – screening October 20th at 9pm at the Regal Cinemas LA LIVE 14. Our entire cast and crew will be in attendance at this one. Plan to stay and celebrate with us after the screening at the Hotel Figueroa! Another exciting event for RICH KIDS will be Oct 11 – 13 at HispanicizeLA 2018, the largest annual event for Latino trendsetters and newsmakers in digital content creation, journalism, marketing, entertainment and tech entrepreneurship. Laura Somers has been invited to speak on the 12th on a crowdfunding panel to talk about our experience successfully raising money on Seed & Spark twice for Rich Kids! If you'd like to attend, you can use the discount code LatinoFilm18. Thanks to all our fans and supporters for all the love. We are very excited to share what we have been up to over the summer starting with our most recent festival win: BEST FEATURE at the Women Texas Film Festival! ANOTHER GREAT WIN IN TEXAS! We just got back from the Women Texas Film Festival in Dallas and we’re so excited to announce that Rich Kids took home the grand prize of BEST FEATURE! It was such an incredible weekend of wonderful films. 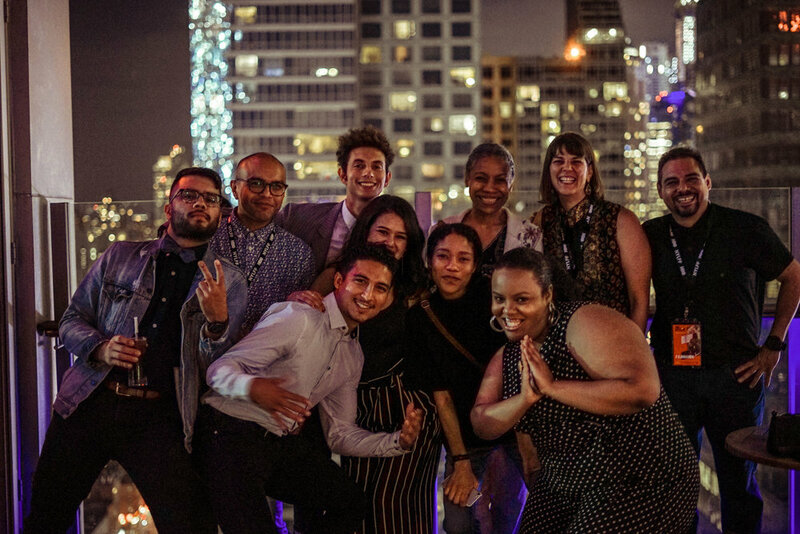 Artistic Director Justina Walford and her team have made a commitment to programming edgy, political, and unapologetic films by female filmmakers and they did not disappoint, we saw some excellent films: United Skates, Black Hollow, Hillbilly, and The Ranger. Rich Kids completely sold out our 150 seat theater – our team had to give up our seats and the box office had to turn people away. As much as we hated to have people miss out, it was an excellent problem to have! 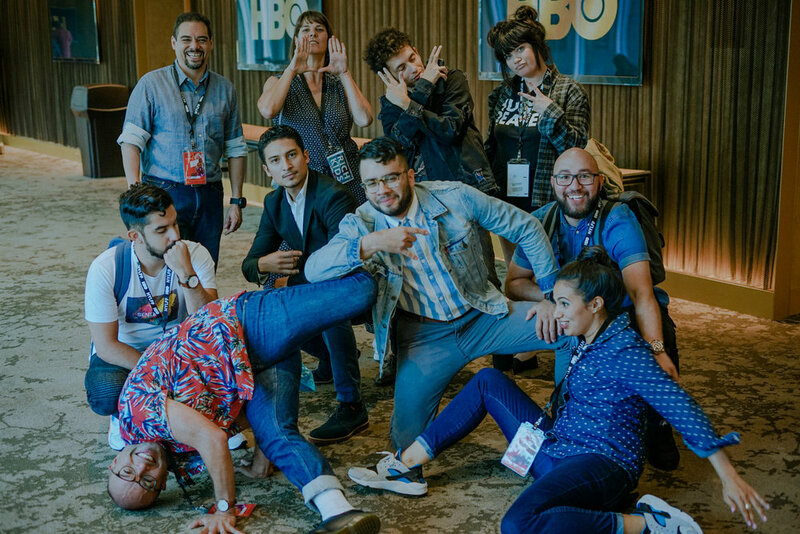 We are super proud of our win this weekend, especially since we’re heading immediately to New York City for the New York Latino Film Festival presented by HBO. We’ll be screening TOMORROW and FRIDAY in NY at the AMC Empire 25 at Times Square – as actor Ricky Catter who plays Ernesto puts it - “We’re headed to Broadway!” The New York Latino Film Festival is the top urban film festival in the country, so it’s beyond our wildest dreams to have the opportunity to screen at this festival. We’ll be doing lots of filmmaker panels and special events this week including meeting with HBO and NBC executives. Be sure to purchase your tickets for the 23rd or 24th screenings ahead of time! And finally, we’re not done yet with our festival run: after New York, we’re heading to the San Francisco Latino Festival in September(screening dates TBD), and while we can’t make official announcement yet, we FINALLY have our Los Angeles premiere coming up in October! So stay tuned, we will be announcing that festival and date in early September. ENTER NOW TO WIN A RICH KIDS BEACH TOWEL! Click here for a chance to win a limited edition RICH KIDS BEACH TOWEL! Thank you for entering the RICH KIDS Beach Towel Giveaway. Results will be posted by September 14, 2018. We're excited to announce that Rich Kids is heading to four festivals between July 31 - and August 26th! First up is the Woods Hole Film Festival set in idyllic Cape Cod, MA. We'll be screening there on July 31st, at 5pm. Very excited to go to this one not just for the beautiful scenery and the die hard film fans, but we can't wait to meet some of our fellow filmmakers to network and connect with this wonderful community. Director/co-writer Laura Somers and Producer Eddie Rodriguez will be in attendance. The we're off to Columbus, OH for The Film Festival of Columbus. We've had many requests to come to Ohio by fans and film societies, so we're excited that we landed this festival at the beautiful Gateway Film Center, where they really know how to celebrate independent films in a beautiful theater and place a large emphasis on film education and exchange of ideas! Director/co-writer Laura Somers will be in attendance. After that it's back to Texas for the Women Texas Film Festival in Dallas, TX. This festival celebrates films led by women and has so much heart and dedication. We'll be screening on August 18th. Expect to see many of our cast and crew members at this one, including co-writer David Saldaña who is flying in from Los Angeles! And last but certainly not least, we finish out August with the very prestigious New York Latino Film Festival presented by HBO. This will be the first time our entire cast, some of our crew, and our Director of Photography, Eun-ah Lee, will be at the screening for the Q&A. We're all very excited to travel to New York together for the premiere urban film festival in the U.S. It's gonna be one hell of a party! Get your tickets NOW at the above links or you can find out more info on our SCREENINGS page! Thank you to Jenn Ryan from Creative Allies for the wonderful interview with director Laura Somers! Hard to believe it's been over a month since Rich Kids World Premiered at the Houston Latino Film festival! Again, we'd like to give a big thanks to the organizers and crew-- all of whom were great, hospitable, and kind. Big shout out to Pedro Rivas for discussing the film on Houston Public Media and KHOU. To a say it was a tremendous experience would be an understatement. For the actors and crew, the festival screening was their first time ever viewing the film. For Laura and the production team, it was our first time watching the movie with a full audience in a theater. So many emotions! It validated all the hard work that had been put in by all those who soldiered on so diligently during all stages of the process. Also, the premiere ushered in the next phase of the project-- getting Rich Kids out into the world! The screening was followed by an audience Q&A and discussion which focused on the realization of the project, how we got such wonderful actors, and the representation of Latinos in film today. Again, thanks to all involved. We look forward at bringing Rich Kids back to Texas in the near future. Check out We Are Moving Stories, a film loving group who broadcast and embrace new voices in drama, documentary, animation, journalism, music video and web-series - they have featured an interview with David and Laura on their site! We are already booked for our next film festival - our West Coast premiere at the Phoenix Film Festival! The Official Rich Kids Poster! We've chosen the official poster. Thank you to Creative Allies for working with us to bring this beautiful image to the world. We are grateful to all the designers who participated in the contest, there were many designs we loved and it was very difficult to settle on just one! Thank you to Luisf13o for creating the winning design. We chose this piece because we felt it was a perfect representation of Rich Kids. The image he chose sums up the themes in the film, and creates an element of danger and emotion that grabs a viewer's interest. The design is very strong, the title is clear and easy to read. We love the letter C encircling his face, bringing focus to his longing expression. We love the lo-fi feeling to the design. We love how the swimming pool, which is an important element of the story, is still reflected in the design by using the color blue - a brilliant choice. The design really pops, whether it’s on a big poster, or a small icon on iTunes. We hope you like it as much as we do!